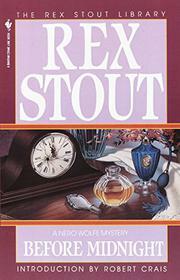 Nero Wolfe again and his faithful Archie are confronted with a ticklish Job in solving the problem of the disappearance of a wallet which contained the answers to a nationwide contest, now reduced to the final contestants. That the man who was carrying the wallet had been murdered was not Wolfe's concern: Just how he faces failure -- and brings off success with a flourish leaves the reader still questioning. Slick -- and not quite fair.